Are you tired of products leaving your hair greasy after application? This is one of my favorite and most used products in our household. I have two girls ages 15 and 12 and they use this daily in the morning as a detangler. It’s perfect to help brush out their long hair. Not only that but you can reapply throughout the day it and doesn’t build up or get greasy. OK we don’t all like to talk about it but it is an issue if you have smaller children. Now adays due to the HIPAA laws schools can’t notify you when there is a lice breakout in the classroom. Therefore prevention is key! 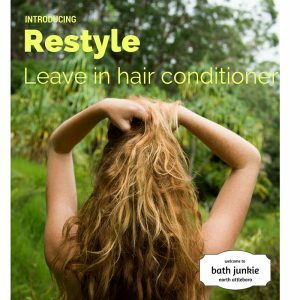 With our Restyle we add essential oils such as eucalyptus, rosemary, melaleuca, and peppermint. This keeps the bugs away and gives you peace of mind! No matter how you look at it leave in conditioners are great for your hair, make sure you add this to your daily routine today! Sugar Scrub is good for your skin! 3 Reasons Why Sugar can help your skin! First, sugar is a natural humectant, meaning it draws moisture from the environment into the skin. So when you apply products with sugar or sugar derivatives, they’ll actually help hydrate your skin and keep moisture within. Second, sugar is a natural source of glycolic acid, an alpha hydroxy acid (AHA) that penetrates the skin and breaks down the “glue” that bonds skin cells, encouraging cell turnover and generating fresher, younger-looking skin. Finally sugar’s small particles make an excellent topical exfoliant, and are used in a number of body scrubs to exfoliate dead surface skin cells and reveal the glowing, healthy-looking skin underneath. 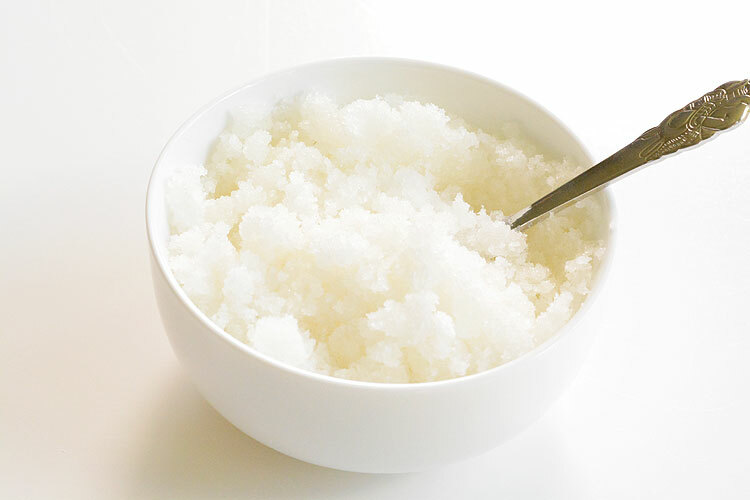 Sugar scrubs also have a few benefits over salt scrubs. For one, small sugar granules are generally gentler than salt, which can cause microscopic tears in the skin. You only need to use a topical sugar scrub about twice per week. 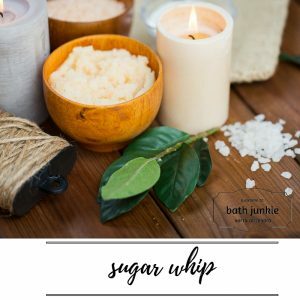 Sugar scrubs exfoliate the top layer of your skin and helps moisturizers penetrate more deeply as well as hydrate longer. Therefore you want to be careful not to overuse it. A high-sugar diet won’t do your skin many favors, but incorporating it into your topical beauty routine can deliver some pretty sweet results! https://bathjunkienattleboro.com/wp-content/uploads/2018/03/DSC_9416.jpg 500 750 Kim Newth https://bathjunkienattleboro.com/wp-content/uploads/2019/03/bath-junkiemain-logo.jpg Kim Newth2018-03-21 20:58:332018-03-21 21:03:29Sugar Scrub is good for your skin! Did you know that you can book your own private fun event? We have so many great options to choose from! You just need 4 participants and you can pick your time and day to hold your event! 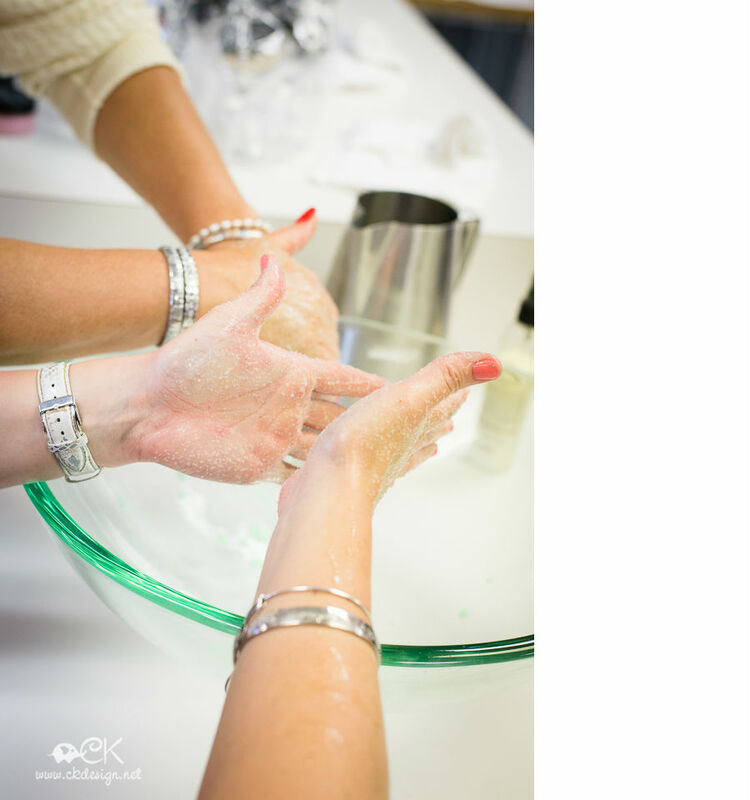 Whether it’s a mom and daughter day out or a group of friends there’s nothing better than getting your hands messy while making great smelling bath products! Check out all these great party options! 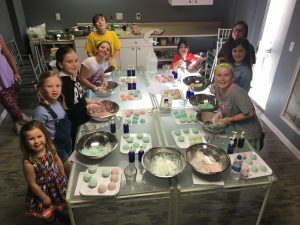 In this 90 minute workshop the kids will custom create great smelling bath products! They will create the following; whipped cream hand lotion, a mini sparkle splash body mist, a mini hand santizier and our soaking smoothie scrub! Plus they will make a spring flowerpot craft. $25 per participant. Drop off workshop for kids 8+, kids under 8 may attend with an adult. Ever wanted to make your own soap? Here’s your chance! During this event, you’ll get to create 2 different bars of glycerin soap. First create your own scent combination, choose a color and select some sea creature and fish to mix into your bars, making them fun winter bar soaps! Plus you also get to custom make a hand soap in your favorite scent and color! Class size for this workshop is small so please reserve your spot today. Please note that the soap will need to set in our store overnight and will be available for pick up the day after the event. For kids 8+ $25 per participant, drop off workshop for kids 8+, kids under 8 may attend with an adult. Custom create 4 different soy wax candles in tin jars. Design your own scent combination, choose a color and then you’re ready to create 4 amazing homemade candles. Great for gift giving or to keep for yourself! Please note that the candles will need to set in our store overnight and will be ready for pick up the date after the event. For kids 8+, kids under 8 are welcome to attend with an adult. $20 per participant. Bath bombs are effervescent fizzes for the tub. Just drop one in and watch your tub transform to a relaxing mineral soak. In this class the kids will custom create 8 bath fizzes. They’ll create 2 different scent combinations (4 fizzes for each scent), add their color choice and they’ll have great smelling bath fizzes ready to use. Please note that the bath fizzes will need to set in our store for 3 days and will be ready for pick up once ready. $20 per participant. Drop off workshop for kids 8+. Kids under 8 are welcome to attend with an adult. Learn what it’s like first hand to work at bath junkie! In this four hour class, you’ll help our professional mix master make products, wait on customers, mix scents together, and even use the cash register! $60 per participant. Class is limited to 4, must be 8+ to attend. Is dad in charge of getting the kids ready for school? Have you ever wanted to teach dad how to do some cute hair styles? Now you can! bath junkie is offering a root beer and braids class! So have dad grab a brewskie (a root beer that is!) and a brush and join us for this fun informational workshop! 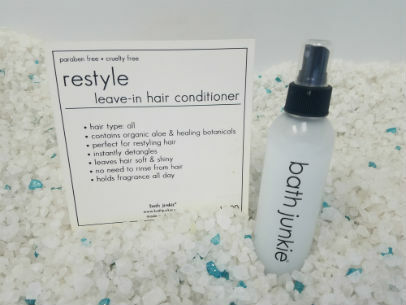 First the girls will custom create a 6oz restyle leave in conditioner perfect to use when styling their hair! Then the 60 minute class will teach dad’s some basic hair styles, pony tails, basic braids, fish tail, cute buns and more! $20 per participant (dad and daughter pair) Please bring your own comb and brush. Contact the store at 508-695-2285 for more information. Did you know we offer several different workshops during winter break? 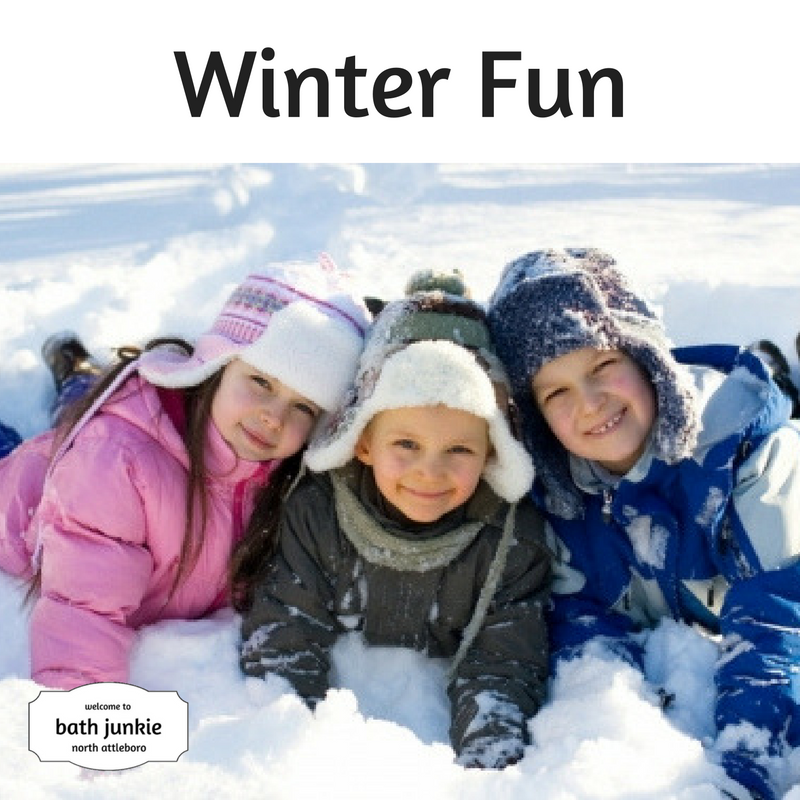 If you’re looking for something fun to do with the kiddos we have lots of great options. Our workshops are designed for kids of all ages. For chidren 8 and older you can drop them off for the duration of the workshop. If they are under 8 we do ask that an adult stay with them during the event. This is a great time to check out our store if you haven’t already been here! 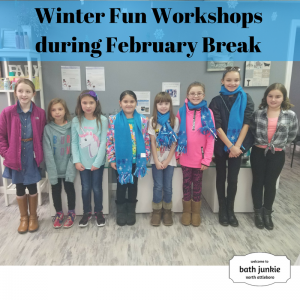 Our workshops are pre-scheduled and registration is required, however if you have a group of at least 4 people (sometimes mommys and daugther make the products together!) you can book one of these events at a day and time that’s convenient for you! Contact us at 508-695-2285 for more information about booking a private event. 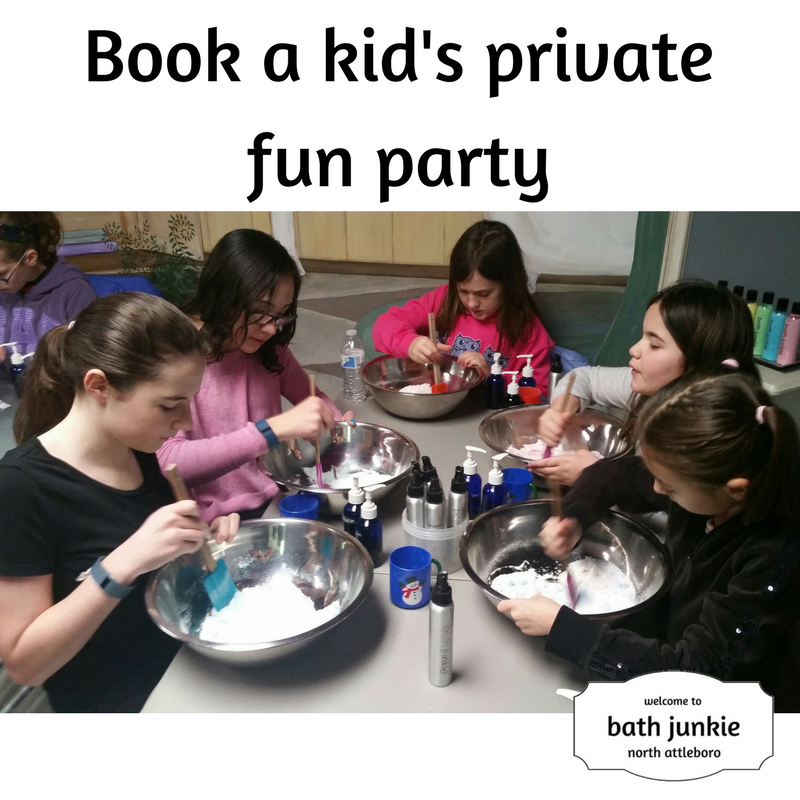 In this 90 minute workshop the kids will custom create great smelling bath products! They will create the following; whipped cream hand lotion, a mini sparkle splash body mist, sugar kisses lip scrub and a mini hand santizier. Plus they will make a winter scarf craft. $25 per participant. Learn what it’s like first hand to work at bath junkie! In this four hour class, you’ll help our professional mix master make products, wait on customers, mix scents together, and even use the cash register! $60 per participant. Class is limited to 4, must be 10+ to attend, drop off workshop. Bath bombs are effervescent fizzes for the tub. Just drop one in and watch your tub transform to a relaxing mineral soak. In this class the kids will custom create 8 bath fizzes. They’ll create 2 different scent combinations (4 fizzes for each scent), add their color choice and they’ll have great smelling bath fizzes ready to use. Please note that the bath fizzes will need to set in our store for 3 days and will be ready for pick up once ready. $20 per participant. Good afternoon fellow bath junkies! Some of you may know that we added a line of essential oils awhile back. I decided to go with doTERRA for a number of reasons but mailhy because of their reputation for overall quality of products and the ethics behind the company. When I first started out I was not a believer in the overall health benefits of essential oils. I can tell you 2 years later I am 100% converted. My entire family uses essential oils daily both as preventative care and to address any health or skin issues that are on-going. This is your chance! Have you heard about essential oils, but aren’t exactly sure when, where or how to use them? Come learn the basics and the benefits. Not only can essential oils be used as great scents, but they can also help keep you healthy and enhance your quality of life. 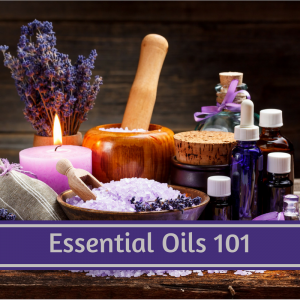 In this class, you will learn their different uses, how they can help keep you and your family from getting sick, and be able to sample different oils. We bascially go through 10 essential oils in depth including some of my favorites such as lemon, lavender, peppermint and frankincense. Then we can look at any other oils that address issues and concerns of the group. I carry almost all of the oils doTERRA offers so we can pretty much cover any issues out there! Our next class is coming up quick, Sunday February 11th from 4-6pm . The cost of the workshop is $15, however you’ll receive a FREE essential oil diffuser at the conclusion of class. Space is limited and registration is required, please contact the store directly to register. Today I want to talk about our salt scrub but particularly how good exfoliation is for your skin. It actually helps to promote healthier skin. Exfoliation refers to the removal of the dead skin cells on the skin’s surface. As we age, the process of cell regeneration slows down. This means that the body is slower to shed skin cells and generate new ones. When old skin cells start to pile up on the surface of the skin, it can leave skin looking dull, rough, and dry. Furthermore, the build-up of dead skin cells can result in excess oil and clogged pores, leading to blemishes and acne. Proper exfoliation removes the barrier of dead skin cells clogging the skin and uncovers fresh new cells below. This opens the way for moisturizing products to penetrate more deeply into the skin, which makes them more effective. If you use a manual exfoliating scrub, choose one with smooth, round granules (like ours!) rather than jagged, rough particles to avoid injuring your skin. Be gentle with the scrub—a light touch is all you need to slough off the dead skin cells. Any more than that and you’re likely to irritate your skin. I use a small amount from head to toe twice a week. I even use it on my face with very little pressure. Fun Fact: if you use a salt scrub right before you shave your legs you’ll get a closer shave! In short, a regular exfoliating routine will leave your skin looking fresh and healthy. 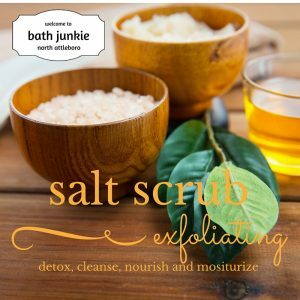 So whether you’re running low on your bath junkie salt scrub or never tried ours before, come on in and we’ll give you a complimentary hand treatment sure to help make your skin feel great!! 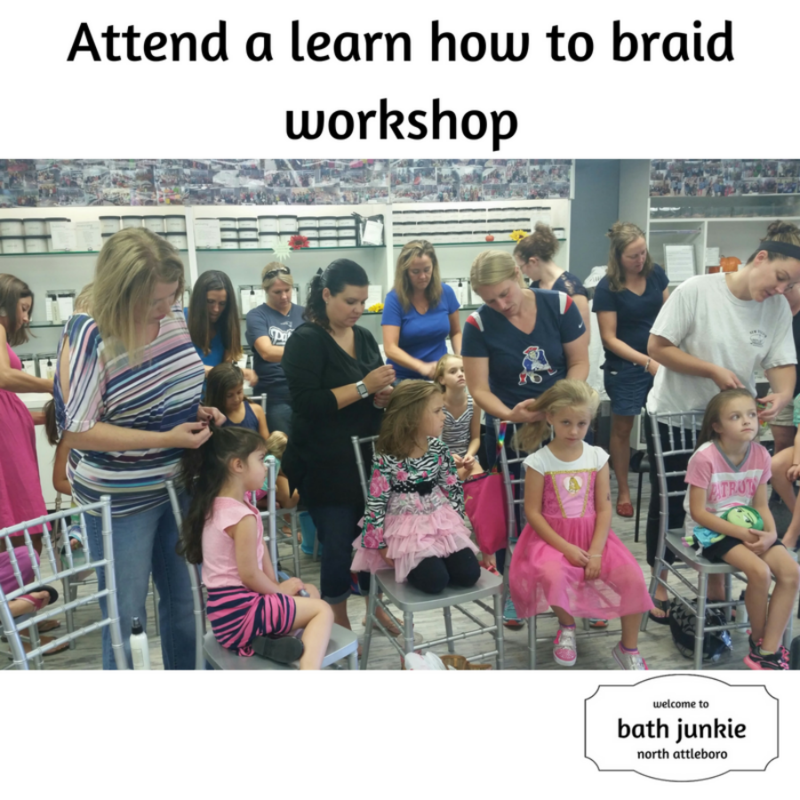 Learn How to Braid at bath junkie! 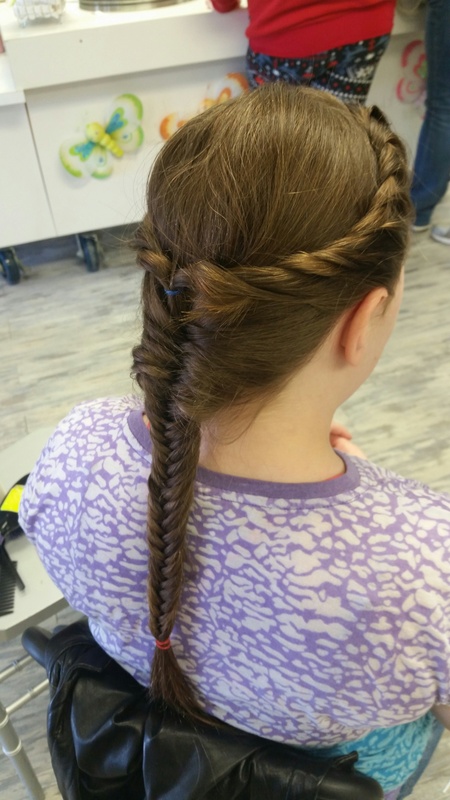 We started our learn how to braid class two years ago in January and typically run it on a weekend afternoon in the winter months. It’s become very popular and usually sells out quickly. It came about last winter when I was trying to figure out some new exciting workshops that would get people out of the house. If you remember 2 years ago was the winter we broke snow fall records! So I know people would be looking for something fun to do to beat the winter blues so to speak! I always try to pair our workshops with products we make in the store so we can combine the two for extra hands on fun. I have two girls of my own and while I knew how to french braid that was about it so that’s where the idea for the hair braiding class came from. Initially I paired with a hair dresser from the local Snipits class and she taught 3 basic braids, the french braid, fish bone and crown (or twist). She did about 3 of my classes and then it just became difficult trying to get our schedules to match since weekends are also busy times for hair dressers. I went out on a limb and thought I can teach this class! Over time I’ve become much more comfortable and if I do say so myself quite the expert at these 3 braids. I do love this class because participants will definitely leave knowing how to do all three braids. They might not look perfect but over time they will master them. Plus the girls first get to make our leave in hair conditioner to use during the class which is so much fun. In teaching this class several times we have made some adjustments and only take 12 mother/daughter participant pairs to keep it a little more intimate and instructive and I leave extra time at the end for those who want to continue practicing so I can assist them. So if you’ve always wanted to learn this may be the class for you! Our next class is Saturday Feb. 10th 10:30-11:30, come with friends and share this post for friends! Hope to see you at the workshop! Until next bath time! I can’t believe Easter is a week from this Sunday? Where did the time go and why is there still snow on the ground! I don’t know if you’re like me but you probably haven’t even started planning out your Easter meal or started worrying about what the Easter Bunny may bring! I know as my kids get older this task gets harder. We’re trying to live a healthier life style but holidays sure do make it difficult! At bath junkie we are just starting to put together our candy alternative Easter Baskets so be sure to check our facebook page or our email (if you’re not on our list do sign up so you don’t miss our many sales and activities) for more information coming soon! 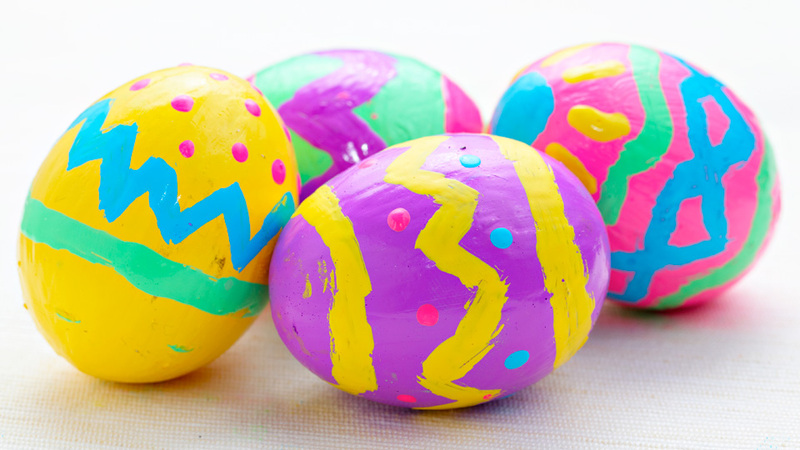 https://bathjunkienattleboro.com/wp-content/uploads/2015/03/eggsw.jpg 540 960 Kim Newth https://bathjunkienattleboro.com/wp-content/uploads/2019/03/bath-junkiemain-logo.jpg Kim Newth2015-03-26 17:25:542015-03-26 17:25:54Easter is almost here! Yes you read that correctly! 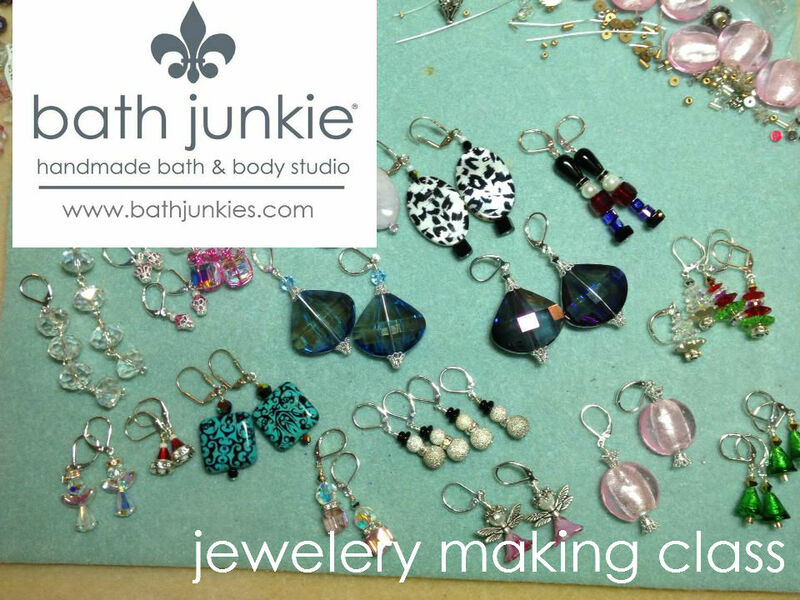 We’re making jewelry at bath junkie! We’ve been introducing all different types of workshops at our store geared towards people with vararing interests in hopes we have enough variety to encourage people step out into Spring (while avoiding the snow piles) and join us for a fun night out. So what is this workshop about? This class introduces you to the wonderful world of jewelry making! With design assistance and creative inspiration you will design and create 3 pairs of one of a kind, pierced earrings. Using beads, crystals and wire, your original creations will be ready to bring home with you that evening! After leaving this class, you also will have obtained the skills to do small jewelry repairs at home. Tools provided, no previous experience necessary. Jewelry designer and owner of T’Bali designs will be leading this workshop. PLUS enjoy complimentary vodka sampling, fun drinks, and a raffle provided by representatives of Zyr Vodka during the event! $30 per participant, registration required. Friday April 10th 6:30-8:30pm, don’t forget to call the store to register we only have a few spots left!